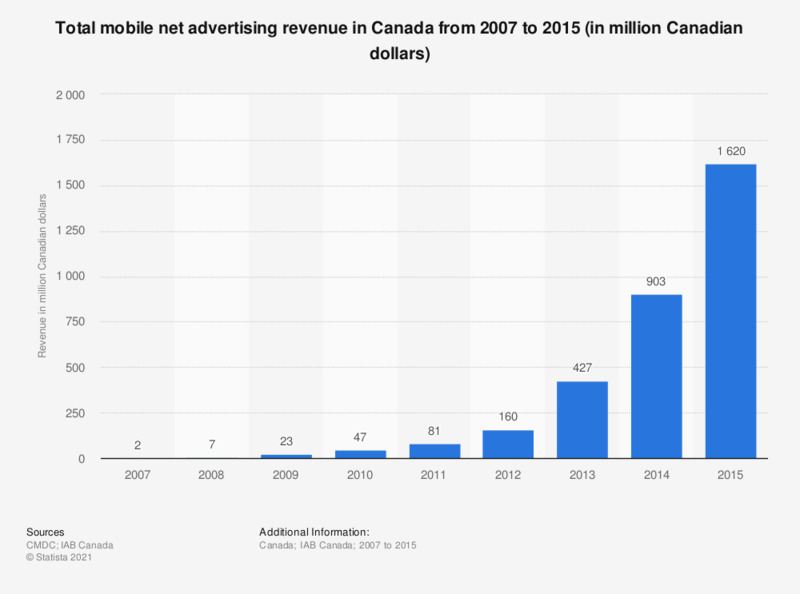 This statistic shows mobile net advertising revenues in Canada from 2007 to 2015. In 2014, total mobile advertising revenue amounted to 903 million Canadian dollars, up from 427 million in the previous year. Figures for periods prior to 2011 come from previous reporting.